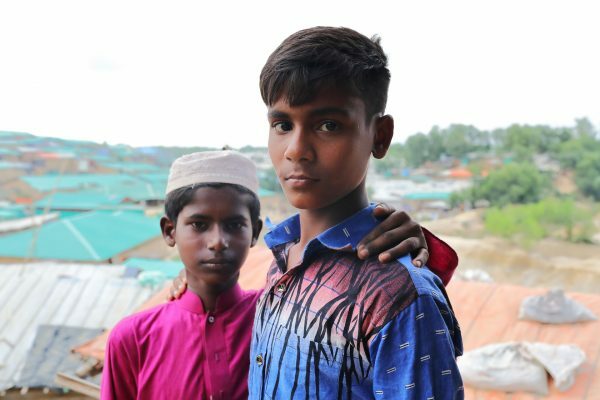 living in the camps in Cox's Bazar. 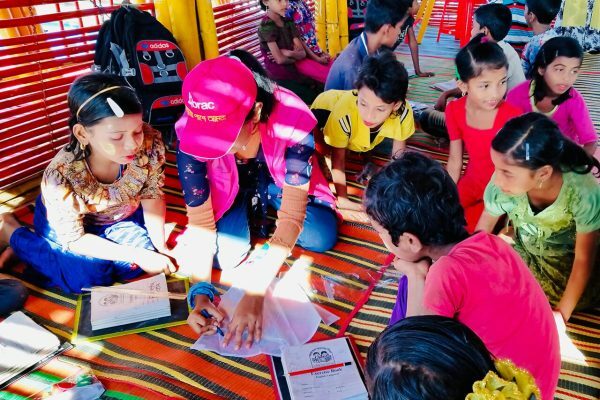 Rohingya girls living in camps in Cox's Bazar in Bangladesh are doing what was once impossible. "I could not study in Burma. It was too risky," says Yesmin, age 17. 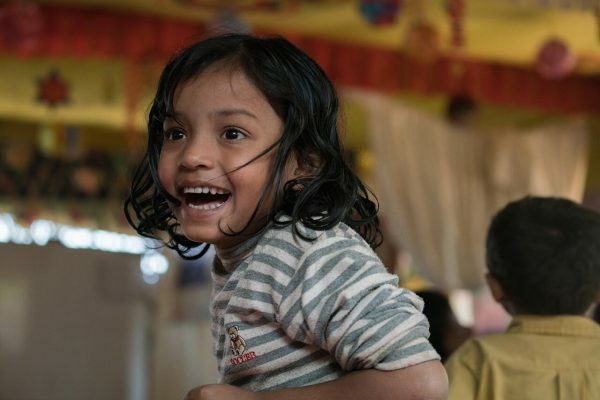 Starting February this year, Yesmin has been attending the new multi-purpose child and adolescent centre in Balukhali, where she is getting educated and learning new skills. We're excited to be at the Play Summit 2019! 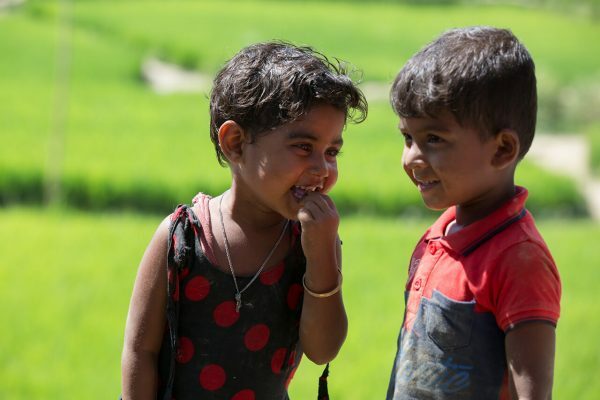 The two-day event will focus on healing and learning of children in situations of displacement, and launch the Humanitarian Play Lab model piloted in the Rohingya refugee camps in Cox's Bazar. Rohingya learners enjoy a visit from Her Royal Highness Princess Sarah Zeid of Jordan in a BRAC Learning Centre in Kutupalong, Cox's Bazar. 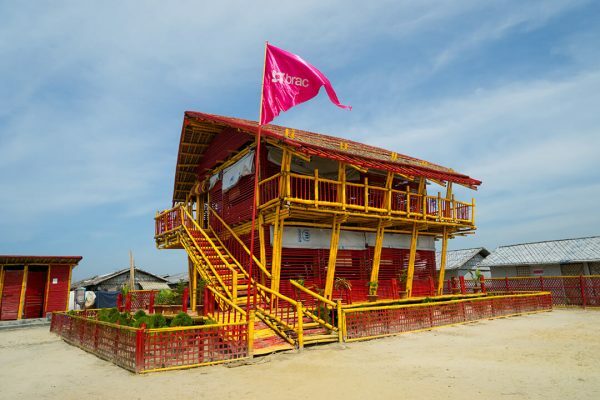 48,000 Rohingya children in the camps are now learning in colourful BRAC Learning Centres. Games, songs, art and guided lessons are used to teach math, literacy and life-skills, and support children’s psychosocial needs. A Rohingya community leader at the inauguration of the first BRAC-UNHCR bamboo treatment plant in Cox’s Bazar. Treating the bamboo increases its lifespan from 2-3 years to 10-12 years, taking pressure off Bangladesh’s forest reserves while making shelters in the camps much more durable. 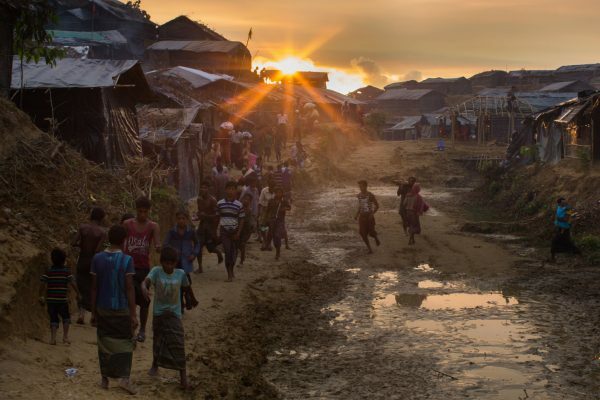 In 2017 nearly a million Rohingya were forced to flee their homes and seek refuge in Bangladesh. Among them are 500,000 children. They now live in the biggest refugee camp in the world. We helped them send a message to you - that in a world as big as ours there must surely be a safe place that they can call home. These children urgently need your help for immediate short term needs whilst the global community works on a long term solution.